Mendocino County is a picturesque rarity that showcases some of the most stunning natural landscapes that California has to offer. Located 163 miles north of San Francisco, it takes about three hours to get there. Though a lot of the drive is on windy terrain, the cliffs, crashing waves, and adjacent green wilderness make for an unforgettable road trip. 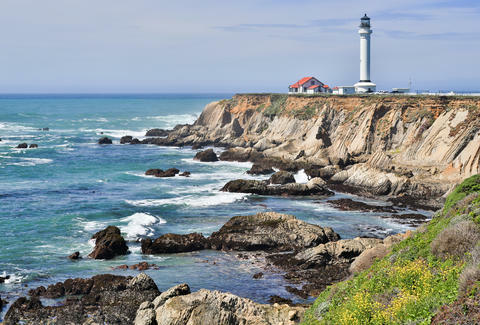 There’s no better way to unplug than taking in the sights as you drive up the Mendocino coastline, and thanks to the spotty reception, all of your passengers will have to hold off on those Snaps, ‘Grams, and tweets. Unique in comparison to other popular destinations, Mendocino has maintained its quirky character by combining the bizarre and the beautiful. Moreover, as a part of the Emerald Triangle -- the largest cannabis-producing region in the country -- it boasts some of the highest quality marijuana around. Neither your stereotypical beach town nor tree-hugging hippy community, you’re bound to meet an eclectic group of eco-friendly, laid-back, and passionate people who are more than happy to tell you why it’s a place unlike any other. 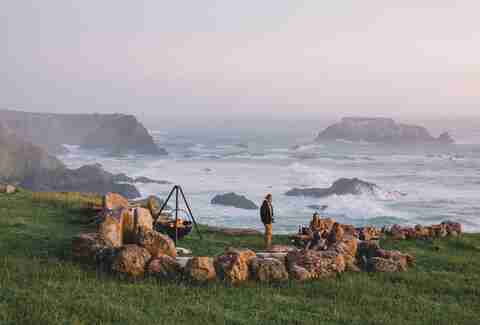 With over 90 miles of Pacific coastline, 24 state and national parklands, historic villages and outdoor adventure sites, countless redwood trees, and a treasure trove of oddities, here is our roundup of Mendocino’s most distinctive places to visit. After passing through the gilded Gate of Three Arches of The City of 10,000 Buddhas, take a second to soak in the tranquility that comes with entering one of the first Chinese Zen Buddhist temples in the US. With 488 acres of land -- most of which is meadows and lush, open space -- the property is otherworldly. Keep your eyes open for the anomaly of countless peacocks wandering the grounds as well as the enlightening street intersections such as Patience and Compassion Way. 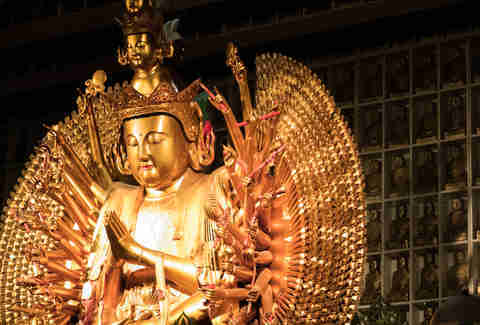 Make sure to check out the impressive Jeweled Hall of 10,000 Buddhas, which aside from the 10,000 Buddha images, houses an impressive 20ft-tall statue of a bodhisattva. Depending on the time of day, you’re invited to join the monks in their chanting rituals or simply listen and observe for a bit. If you’re hungry stop by the on-site vegan spot, the Jyun Kang Vegetarian Restaurant, popular for its healthy and mindful Chinese food. Set on a 2,000 acre coastal cattle ranch, the Inn at Newport Ranch is where you go for the ultimate escape from reality. Straight off a destination magazine cover, this property is surrounded by epic ocean views, cliffs, redwood forests, and over 20 miles of private trails perfect for hiking, horseback riding, or simply reflecting on life. Since this is an actual working ranch, you’ll find the most chill cows and calves roaming the grounds at any given time. Go on an ATV tour of the property and explore all of the hidden areas of this massive ranch. From remote wooden benches overlooking endless miles of ocean and cliffs; wildlife spotting that includes whales, Harbor Seals, hawks and more; and riding through dense, unspoiled forest terrain, adventure seekers will have plenty to do. Alternatively, soak in your private hot tub underneath the stars or before the sun sets to admire the view. 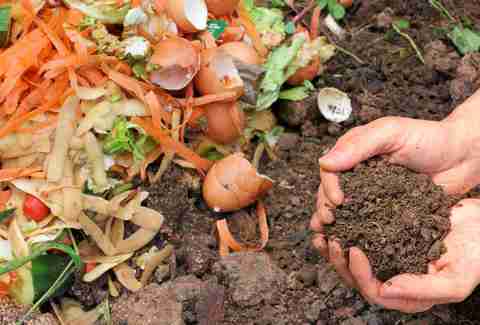 With its mission of "promoting sustainable living through inspirational environmental education," this nonprofit has successfully transformed what was once a barren site into the sustainable Solar Living Institute. From solar training workshops on topics such as energy efficiency and wind and hydro systems, the SLC is the place to go if you’re looking to live as green as possible. On the 12-acre site there are 44 point of interest. Highlights include the very first solar cannabis dispensary, which was established to educate visitors on the health benefits of cannabidiol; an observation beehive; human-powered bicycle generators; Memorial Car Grove where rusting '50s and '60s gas hog cars are repurposed as tree planters; and the Real Goods store, which sold the first residential solar panel system in the US. Before you head to your next destination, grab a bite at Bluebird Café and marvel at the ginormous moose head staring you down as you devour a burger and shake. For those of you whose favorite movie was The Lion King growing up, this one is for you. One of the most fascinating attractions in Mendocino is the one-of-a-kind B. Bryan Preserve, dedicated to the livelihood of endangered African hoofstock. 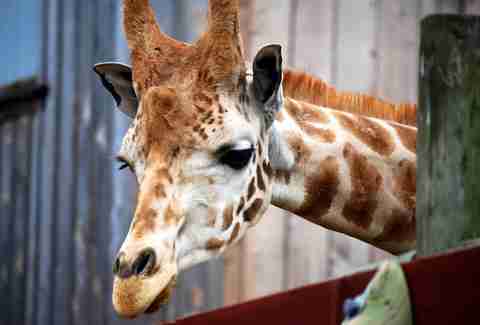 This isn’t a zoo -- it’s as close to an African safari as you’re going to get this side of the world. Jump into a Hummer that came straight out of Jurassic Park on a guided tour through Point Arena’s only African wildlife habitat. Take a selfie with the zebras, observe the Greater Kudo or Sable antelope roaming free, and even get up close and personal with giraffes -- by that I mean feed them by hand (or straight from your mouth to theirs!). The tour itself is fantastic, educational, and completely worth a trip just to be so close to endangered wildlife. 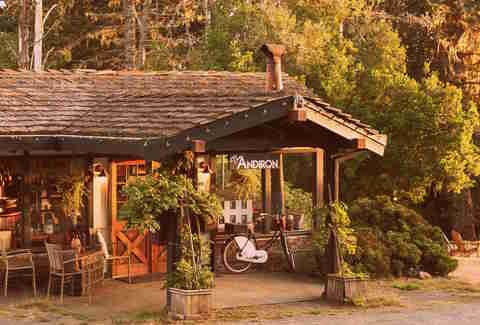 Built in 1959, The Andiron is spread out over five acres of woods. With 12 cabins that are completely refurbished and redesigned, each room has a unique theme that sets it apart from the other. Funky, retro, and unlike any other lodging in the area, you’ll spot antique items, décor, and salvaged furniture throughout The Andiron. Into travel? Cabin four is for you. Named “THERE,” this room’s theme is world travel circa 1960 complete with a View-Master and a pull-down school map. Love The Twilight Zone? Cabin 12, CURIOUS-ER which adjoins cabin 11, CURIOUS, features a mix of odd items such as an original 8 ball, Kreskin's ESP dogs that wear suits, a mural of the undercarriage of an old carousel, and a green 1950s Viverator in excellent condition. Take a look around the property and you’ll find two sweet goats, eerie vintage playground toys, a magical hot tub in the woods, and more. Then, for a romantic dinner, take drive next door to The Little River Inn for some top-notch food in an inviting setting. 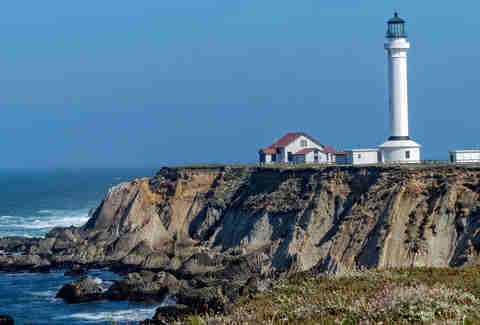 Surrounded by water on three sides, the Point Arena Lighthouse is a picturesque, iconic structure. From afar it looks like a surreal painting thanks to a backdrop of the Pacific Ocean and rugged coastline. Only after making your way closer to the lighthouse do you realize how tall it really is. It’s 145 steps up a classic spiral staircase before you get to the top, making this structure the tallest lighthouse on the West Coast. Make the trek up on a clear, sunny day to enjoy 360 degree views that may come with whale spotting, depending on the time of year. If you’re a history and/or nature buff, opt for an interactive tour of the museum and tower. Ever wish you could just soak in a tub of Perrier? Just off Highway 101 near Ukiah, is California Landmark No. 980 known as the Champagne mineral baths. Vichy Springs Resort and Spa is a 700-acre facility home to America's only warm and naturally carbonated Vichy mineral baths, plus a gorgeous Olympic-sized unheated pool. Vichy Springs is a secluded getaway that leaves you feeling one with nature. Unwind in a stone bathtub filled with warm, carbonated mineral water that they say is drinkable and even cures ailments such as gout. Even if you aren’t looking for a cure, your skin comes out as soft as ever. 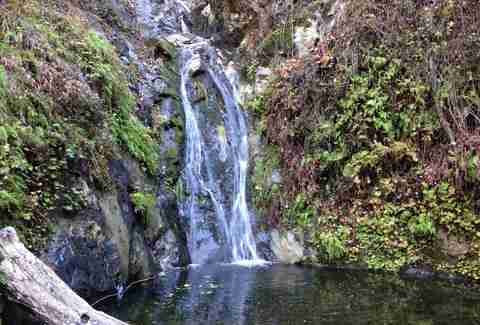 Go for an adventurous hike to Chemisal Falls and reward your body with a swim in the cool water once you arrive at the waterfalls. If one day isn’t enough for you, spend a night in the historic Blue Cottage, established in 1852. Known as the home of the “rare, elusive chipalope,” Confusion Hill is a prime example of roadside attraction magic. Query, eclectic, and amusing, this California State Point of Historical Interest has been around since 1949. Featuring a gravity-defying house, Redwood Shoe house, mountain train ride, and the world’s largest standing chainsaw sculpture, Confusion Hill is perfect for taking a break from the road and having some kitschy fun. Reminiscent of a simpler time before smartphones and tablets, this trio of oddities is perfect for the little kid in you -- so embrace it. This area is surrounded by majestic redwoods and has a gift shop full of souvenirs that are begging to be bought (like a chipalope stuffed toy!). If anything, the gravity-defying house is prime Instagram material. 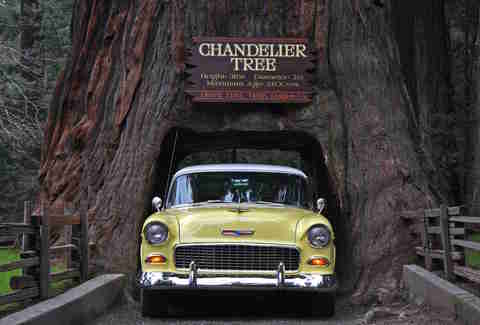 You can’t visit “the redwood corridor” and not stop at the famed Chandelier redwood tree. Standing at an estimated 315ft high and 21ft in diameter, this 2400-year-old tree is ethereal. For some perspective, 2400 years ago Aristotle was spewing wisdom to the Greek masses. So, this tree has been through a lot. Whether you drive through it or simply walk, it’s awe inspiring to say the least. Plus, the gift shop sells pieces of live redwood trees, called burls, to grow on your own at home, among other redwood trinkets you’re not likely to find anywhere else. If you have time, swing by Ukiah to see the Largest Redwood Service Station in the world which also has a small museum in a redwood stump. Though it’s horrible that literal tons of trash were dumped into the ocean to begin with, who doesn’t love the brilliant colors of sea glass shining on the shore? 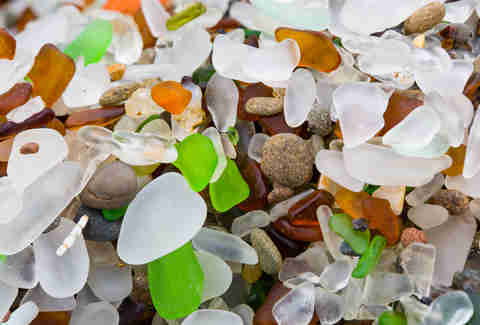 Fort Bragg’s Glass Beach is the site of years of pre-1967 broken bottles, windows, and car taillights that have naturally transformed into ocean treasures covering the beach. Jump in a kayak to explore some of the less frequented areas or simply hike down the smaller cliffs to the main parts of Glass Beach to check out the sea life, shells, and tide pools that are home to everything from anemone to tiny crabs. It’s quite a sight to see. Hailing from San Francisco, Chelsea is a dessert enthusiast, burrito connoisseur, avid tennis player, and Golden State Warriors fan. Follow her on Instagram: @cheycheyfromthebay and her blog: Chey Chey from the Bay.